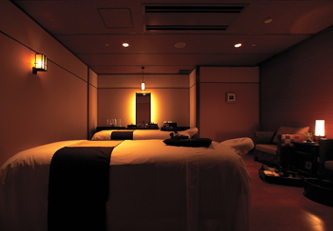 Spread out over the 'tatami' mats. Outside the ryokan, taimatsu (pine torches), t-or-o (lanterns) or kagari-bi (watch fires) remain lit until dawn, making the guests feel at ease so that they can sleep well. Attendants take care of putting out the futon.